Yes, direct mail works! It is the best way to reach 100% of your potential customers in your area with a friendly, non-intrusive “ask” for their business. Click here to learn more about how the combination of quality leads and direct mail can increase mover revenue. Read about how direct mail works for the moving industry here. What kind of response rate can I expect from direct mail? Our customers report a 1-3% response rate with their mailings. Meaning that for every 100 postcards mailed, they average 1-3 phone calls. The booked jobs from direct mail tend to be our customers largest household moves. Since you are able to target with direct mail homeowner owned properties that are moving (for the 2nd, 3rd, 4th time), these moves are your best potential customers. Where do your leads come from? What is it that you provide? Our primary business is data. We monitor the real estate market and collect addresses for sale from multiple public sources. We are not list-brokers or use lists from other companies. When you work with us, you work with the list publisher. To learn more about how our leads compare with other lead lists, read Not All Lead Lists are Created Equal. How do your leads compare to Internet Leads? Internet leads are generated from a homeowner filling out a form on a website and request that a business contacts them by either email or phone. These leads are often oversold. Our leads are different. We monitor the real estate market and identify homeowners in your area that are planning a move. We provide you with everything you need to contact these homeowners with direct mail – sending either a postcard or letter. Direct Mail is the best way to reach 100% of the potential customers in your area – not just the small percentage that will fill out a form online. How do your leads compare to data on the MLS? The MLS is a raw listing of all real estate activity in your area. About 50% of this raw data are non-viable leads such as new construction, empty lots, bank owned properties, and empty properties where the homeowner has already moved. You could waste a lot of time and money marketing to bad leads if you are using raw MLS lists. We monitor the real estate market. We collect "for sale" advertising from multiple public sources and then double verify the information. Every weekday, you’ll receive only the best leads - large household moves that have been verified to be homeowner owned and occupied. Learn more about the steps we take to verify our leads. MovingLeads.com captures and verifies leads as soon a house goes on the market. Every weekday, you will receive a list of the new listings from the previous day. Do you provide pending or “under contract” leads? Our leads are brand new listings. We believe that contacting homeowners as soon as they have been identified as a potential customers (new listing) is the perfect timing for mover marketing. 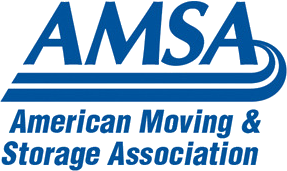 80 percent of homeowners make a decision about hiring a mover before they reach the pending stage. If you wait until a home is in pending status to start marketing, you will miss out on most of the opportunities to win business. We have written a blog article with more details about why we know that pending leads are not quality leads for mover marketing. Read Are Pending Leads Quality Leads? Get the Facts. Do you provide the homeowner name? Yes, we provide the homeowner name. If you are relying on leads that are only addressed to “current resident”, then your mailings are at a disadvantage. For one thing, these leads have probably not been verified to be homeowner owned and occupied. And two, direct mail addressed with the homeowner’s name results in much better results. In a recent survey, homeowners said that they were 84% more likely to read a direct mail piece that was customized or personalized. With numbers like that, you need to be personalizing your direct mail. Do you provide phone numbers or email addresses? No, we do not append this information to our leads. You receive the homeowner name and address to contact them by direct mail. Homeowners on our list have not provided their contact information like they do with Internet Leads. If you contact the homeowner by phone it can be perceived as very intrusive. Direct Mail is a friendly, non-intrusive way for you to reach out and provide your company information to be considered for the job of every homeowner considering a move. How do I choose the leads to receive? Can we target leads by demographics or location? Yes, we offer the 3 ways to define the geographic area. By mile radius around an address, by Zip Code or by Counties. For most, a mile radius covers their ideal market. But if you want to exclude an area in the mile radius, then the zip code and counties might be the best option for your criteria. You can further target by asking price of the home. By setting a minimum and maximum asking price of the homes, you can target the size of the moves to be included on your list. For more details on how to set your criteria, click here. We do not provide demographic information. We have found that the asking price of the home (which loosely equates the household income) is the most effective way to target. Are there minimums? If there are more leads available than my maximum record limit which leads will I receive? There are no minimums. You tell us how many leads you want to receive each week based on your weekly budget and the price per lead or price per postcard. By using the minimum and maximum price settings of your list criteria, you can choose which segment of the leads you receive. We can start at the maximum price setting and work down in price to your lead limit or set at your minimum asking price setting and work up in price to your weekly lead limit. You may also decide to limit the geo area so that you receive more leads in the smaller area than price based segment of a larger area. If I don't have a website, will postcards work for me? Unfortunately, direct mail does not work for businesses that do not have a website. For 94% of homeowners, the first thing that they do when they receive your postcard is to verify your information on your website. If you do not have a website, you won’t receive phone calls. It is better to wait to do direct mail when you have an active website. How do I get signed up for service? Simply email sales@fmadata.com or call 303-443-0767 and we will send you instructions on completing an online sign-up. What format do the leads come in? How will I know that the postcards were mailed? For List only service - Your leads are emailed to you every weekday in two formats. You will receive an xls file that can be imported into your CRM system or used to manually track responses. You’ll also receive a PDF file that is already pre-formatted to print to labels (30 labels per page). For Automated Postcards – You will receive an XLS spreadsheet listing all the postcards that have been mailed for you. Again, this list can be used to track responses in a CRM system or manually on the spreadsheet. Note that we can also send a CVS file if needed. What type of labels do I need to purchase if I want to print out the pre-formatted labels myself? You can use any brand that is a one-inch label set up for 30 labels per page. We recommend Avery 5160. Can I mail to the same lead more than once? We send you a daily (M-F) list. We recommend mailing out your postcards as soon as you receive the list for the best response rates. Your purchase of the list does allow you to do follow up mailings, but keep in mind that these may result in lower response rates or result in more return mail. Automated postcard service can also order a 4-week follow-up mailing and the price per postcard is the same as the first mailing. Can I easily make changes? Is there a deadline for changes? Yes, you can make changes to your list criteria very easily or even suspend your service. As long as the changes are completed by the day before at 3 pm MST. And with our on-demand printing, we have the flexibility to change your postcard artwork too since there are no postcard inventories to use up first. Note that we recommend not making changes too frequently. It takes a good 4 to 8 weeks of mailing to test response rates to list criteria or postcard artwork. Can I cancel service at any time? How do I cancel Service? We have made your services as flexible as possible so we do not have contracts or long-term commitments. You just notify us by 3 pm MST the day before to suspend service for the next day. To cancel service, call us at 303-443-0767 or email your request to suspend your service. We will send you a confirmation of the suspension by email. Can you help me with postcard artwork? At this time, we do not offer graphic design services but you can find our postcard design best practices here. We have found that the most successful postcards are custom postcards. It is worth the investment to work with a professional graphic designer so that you have a truly custom postcard for your business. We offer printer specifications and design files on our website here. You just submit your final design and we will print and mail for you! Can I submit my own postcard artwork? Yes, of course! Just make sure it meets our printer specifications which you can review here. How many postcards do I need to mail to get a response? When can I expect phone calls? How do I track responses? Automated postcard mailings work for movers because they keep your sales pipeline filled with new leads, year round. Our response rates are consistent and work for our customers. In fact, some movers boast their best moves from our postcards. You can read about how postcards create a profitable sales pipeline for movers and keep phones ringing here. Do you issue refunds for the return mail? Return mail is a normal part of Direct Mail and should be considered a regular expense of the mailing process so we do not issue refunds for returned pieces. We make the best effort to suppress bad data and eliminate returns. We scrub our lists using the latest available data from the United State Postal Service (USPS) but there is no perfect way to eliminate all vacancies and returns. See more detail on why returns happen here. So again, returns should be a part of the expense of mailing and as long as your cost-per-call and cost-per-booking are meeting your budget goals, then returns should not deter you from doing Direct Mail. Why do you send 1st Class postage vs Standard Mail? Yes, first class postage is more expensive. But it’s worth it. First class postage ensures delivery within days of mailing. Standard mail can take up to two weeks to be delivered. Also, with first class postage, you will receive returns which means you will know if your list is performing well. Be wary of mailers that send by Standard mail. You may be wasting money on bad leads and experiencing a higher than the industry standard of 10% return rate. When will my postcards arrive at the homes? Your postcards will be printed every weekday and delivered to the post office the same day. Because we send your postcard by first class postage, the post office is supposed to deliver within 2-3 business days after it has been delivered to the post office. Be wary of mailers that send by Standard mail. Standard mail can take up to two weeks to be delivered which can be too late for many industries to win business. At MovingLeads.com there are no setup fees. You just pay per lead or per postcard. Daily Service delivers leads and postcards mailed every weekday (M-F). Daily service is billed twice per week. You will receive an invoice on Mondays and Fridays. Friday's invoice is a bill for the leads or postcards mailed on Tuesday, Wednesday, Thursday, and Friday of that week. Invoices are automatically paid using the credit card on file. The invoice is sent showing a zero balance due. This invoice should be kept of a record of the charge. Charges to your credit card will appear as "First Movers Advantage"
Do you have a question about your service? Please log into your customer account here to see the FAQ for customers.